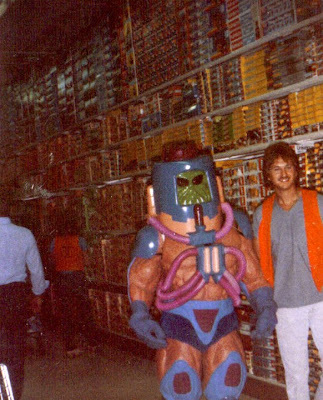 3-D Monster: My Toys R Us Never Did Anything This Awesome! Masters of The Universe Hero "Man-E-Faces" at a Toys R Us Appearance early 1980's. I wonder if his head spun around to reveal all three faces just like the toy? Great blog, Garrett - I really like your style!